Gladys has over 15 years of experience in legal, policy, and community-based work for environmental justice and civil rights. 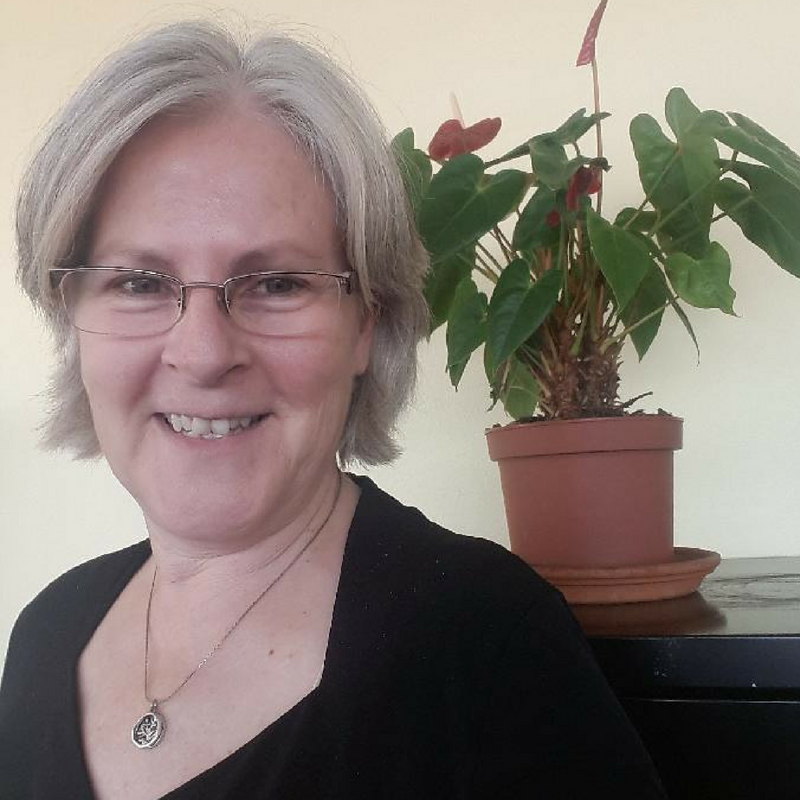 Having joined CEJA in 2017 as its first Executive Director, Gladys brings a deep connection to CEJA’s members and partners. Gladys has extensive experience working on behalf of immigrant communities, including as staff attorney at the Mexican American Legal Defense & Educational Fund (MALDEF), where she litigated cases concerning anti-immigrant laws, racial discrimination, and the rights of low-income immigrant workers. 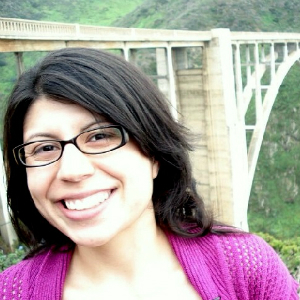 Most recently, Gladys worked as an attorney at Communities for a Better Environment, one of CEJA’s core members, on successful high stakes environmental justice matters including the shut down of Exide’s battery smelter that for decades polluted surrounding communities with dangerous levels of lead and arsenic, resulting in one of the most serious environmental catastrophes in California. Gladys also helped lead the work of the Standing Together Against Neighborhood Drilling (STAND-LA) coalition alongside our partners at PSR-LA. Gladys brought an unprecedented environmental and civil rights lawsuit on behalf of Youth for Environmental Justice against the City of Los Angeles challenging the rubber-stamping of oil drilling projects in neighborhoods, resulting in the City’s issuance of a robust administrative guidance policy that provides environmental and anti-discrimination protections. Gladys was also a lead attorney representing CEJA in the fight to defeat the Puente Power Plant in Oxnard, a fourth dirty fossil fuel plant proposed in a disproportionately impacted community. I am CEJA’s Development Director. In the 1990s I taught English in Oakland, San Francisco and Japan, where my youngest student was four and my oldest was 84. In the late 1990s I became an organizer within the SF Bay Area and national LGBTQ community. These experiences led me into fundraising. I have raised money for immigrant and refugee services, breast cancer advocacy, LGBTQ behavioral health services, LGBTQ youth development, youth organizing around educational justice, and environmental health and justice. My interest in environmental health and justice is personal and political. My mother and all of her siblings died of cancer after growing up in the 1930’s in a small Central Florida town very close to citrus agriculture and industrial facilities. I don’t know of any family cancer in the generations before or after theirs. I always wondered if exposure to pesticides or other toxic substances in their youth played a role in their deaths. This experience caused me to pay close attention to health issues, and I learned to see through an environmental health and justice lens while working at Breast Cancer Action. Before joining CEJA, I fundraised for 5 years for a CEJA member organization – Communities for a Better Environment. 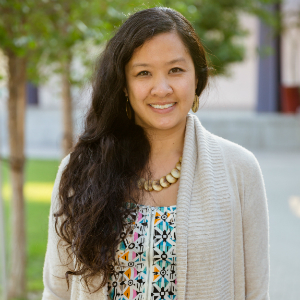 As CEJA’s Development Director, I work to strengthen the culture of giving and receiving within and around CEJA. In my free time, I like to wear high-visibility gear and ride my bicycle in LA. I also meditate, do yoga, and read. As CEJA’s Policy Manager, I am responsible for representing the interests and perspectives of our member organizations in front of the legislature, governor’s office, agencies, and environmental advocates. I provide analysis of administrative policies, legislative proposals, and state budgetary proposals that impact environmental justice communities throughout California. 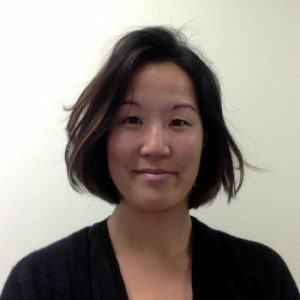 Before joining the CEJA team, I worked as a Policy Advocate for Sierra Club California in Sacramento and previously worked as a Legislative Assistant for Assembly Member Ed Chau and former Assembly Member Mike Eng, where I provided analysis and recommendations on legislation and policy proposals. I am also a proud first generation college graduate from the University of California, Davis where I received a Bachelor of Arts in Political Science and Chicano/a Studies and went onto to receive a Master of Public Policy (MPP) from the Panetta Institute for Public Policy at California State University, Monterey Bay. Mostly importantly, I continue my activism and community involvement by participating in organizations that advocate for the betterment of marginalized communities. Some of my current and past volunteer experiences include working with organizations like -the Association of Raza Educators, Ethnic Studies Now- Sacramento Chapter, Sacramento Latina Leaders Network, New Leaders Council, California Latino Capitol Association, and the Cesar Chavez Foundation. During my spare time, I love attending music festivals, visiting art collective spaces, organizing campouts and just simply hanging out with family and friends, while enjoying some delicious food and wine. As the Energy Equity Program Manager, I work to ensure California’s energy policies are focused on building a more equitable economy and the Energy Democracy working families and communities of color deserve. Before CEJA, I was a Legislative Analyst for the California Energy Commission’s Office of Governmental Affairs and worked at the California State Assembly and Senate. My career in the Capitol started as a California Senate Fellow in the Office of Senator Alex Padilla. Outside of the Capitol, I’m also a Co-­Founder and Vice President of the Latinx Young Democrats of Sacramento, was a New Leaders Counsel Fellow, and previously served on the board of the California Latino Capitol Association. Before my career in policy, I participated in the McNair Scholars Program researching the economic benefits of vegan diets for Latinxs and was a grassroots and community organizer with Students for Quality Education, M.E.Ch.A., and other student advocacy groups. I’m proud to come from a working ­class immigrant family that continues to drive my passion to fight for progressive values. In my free time, I like to screen write social and political dramas. When I’m not writing, I also like to hike, and listen to live music. As the Green Zones Program Manager, I work with CEJA to lift up the amazing work that groups are doing across the state to transform polluted and neglected areas into healthy, resilient, and vibrant neighborhoods. I first joined CEJA in 2016 because I love the fact that Green Zones are proactive, people-led plans that holistically combat environmental injustices while providing all the resources and opportunities that our communities need. I see environmental justice as an important lens through which we can analyze the world around us and find solutions. While my hometown of Oakland, CA informed my politics and fueled my love for these neighborhoods, it also taught me hard lessons about institutional power and marginalization. Yet I love the fact that our people continue to shine, create their own visions of home, and organize to win. In 2015, I completed my Master’s Degree in City and Regional Planning from UC Berkeley where I focused on environmental planning and policy, water justice, and equitable economic development. 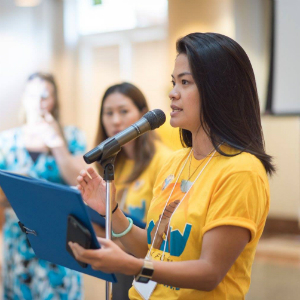 Before going back to school, I served as a Youth Organizer, a Co-Director, and a Policy Director for over nine years with AYPAL: Building API Community Power. I have also worked with the Asian Pacific Environmental Network (APEN), the Women’s Policy Institute (WPI), Community Youth Center (CYCSF), and Community Bridges Beacon in the Mission District. When I’m not working on Green Zones legislation or coalition priorities, you can find me backpacking through the Sierras and promoting socially inclusive green spaces, reading people’s tarot cards, watching the Golden State Warriors win more games than ever before, and continuing my lifelong art and photography practices. 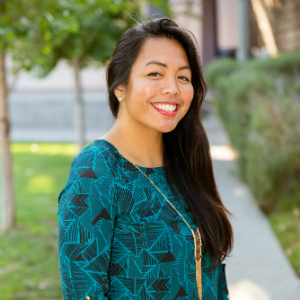 As the Communications Manager at CEJA, I work to uplift the voices and solutions of communities on the frontline of struggles for environmental justice across the state whose leadership paves the way for healthy and resilient communities for us all. I coordinate our statewide communications strategy with our member organizations, develop creative messaging, write and design campaign reports and action alerts, maintain our website, manage our online presence on social media, and produce videos and other creative media. I am deeply committed to reclaiming my connection to the land as a granddaughter of rice farmers in the Philippines. My passion for environmental justice is inspired by both this and my upbringing in the shadows of pollutive military facilities in National City, CA where I first experienced the realities of urban inequalities and environmental racism. However, it was not until I further connected the impact of war and militarism on our environment as an anti-nuclear student organizer at the University of California, Santa Barbara that I began to feel empowered to take action. I now recognize that we have no other choice but to take action for the clean and healthy communities we all deserve. While pursuing my masters at San Francisco State University, I was a Green Your City Fellow at Bay Localize where I worked on media and communications for urban agriculture and local clean energy campaigns in Oakland. I have also organized with the Coalition of Immokalee Workers on the Campaign for Fair Food as a national steering committee member of the Student Farmworker Alliance. Most recently I have been a creative resistance trainer and co-coordinator of The Ruckus Society’s Arts Core and have facilitated trainings and art builds for the Climate Justice Alliance’s Our Power Campaign in Richmond, Detroit, and New York. I am also currently a filmmaker with Survival Media Agency, a global media network dedicated to climate justice. Outside of CEJA and organizing, my favorite places to be are behind a camera, in the kitchen, in the garden, on my bike, or on long hikes to natural hot springs. I manage the operations for the amazing work CEJA does across the state. I enjoy managing operational systems because it is the engine that keeps CEJA running. I like exploring various productivity tools and to-do lists to maximize and increase our productivity. I’m passionate about building resilient communities that are most impacted by systematic injustices that plague our world. I came to CEJA because the folks at this organization work tirelessly to promote environmental awareness to improve the health of our communities. Before joining CEJA, I did some community organizing around social justice during my time at Fresno State with Black Students United and through my sorority Alpha Kappa Alpha. Additionally, I’ve spent a lot of time working in the social work field with youth and families providing direct services, program management, and administrative support. During my free time, I can be found listening to music. I love music especially anything from 90’s R&B, Hip Hop, and Jazz. Music keeps me centered and energized to get through the days whether I’m feeling up or down. When the weather permits, I like to spend time at the beach on the sand listening and watching the waves because it’s so calming. To sum up my life, I would say that I am a continuous learner with a desire to continually gain new knowledge for self-improvement and make positive impacts on the world. 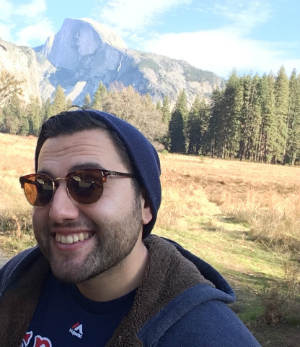 As CEJA’s Grant Writer, I work to raise our annual budget and impact advancing California’s environmental health and justice movement, through reporting, tracking, and maintaining and developing new funder relationships. My environmental and social justice career began in 2006 when I graduated from UC Davis with a major in Sociology and minor in Women’s Studies, and joined the Sierra Club in Washington DC to advance global sexual and reproductive health and rights and sustainable, healthy communities. In this role, I partnered with reproductive justice and environmental justice stakeholders and the growing international youth climate movement to jointly pioneer effective grassroots campaigns. In 2010, I left to intern with two of these partners in Ethiopia and Mexico during a solo backpacking trip to 6 continents. I witnessed first-hand the vast, urgent need for locally-based climate justice solutions, and returned to the U.S. invigorated with a new life mission – to advance policies and programs that improve community health and climate resilience. 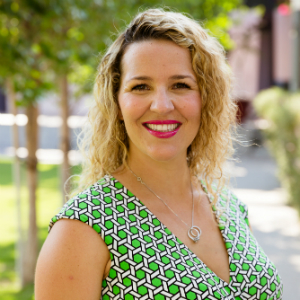 I joined the Liberty Hill Foundation while earning a Master of Public Health degree at UCLA, and put my ideals into action – advancing the Clean Up Green Up campaign to create Green Zones in three toxic hotspot LA communities. After graduation I became a half-time Research and Policy Analyst at East Yard Communities for Environmental Justice, to develop a similar Green Zones Campaign. In 2013 I left LA to be with my fiancé in Sacramento, where I managed community asthma education programs at Breathe-California, before returning to LA in 2015. I have traveled to 39 countries, and enjoy any outdoor activity where I can learn something new and be creative. I love skiing, camping, hiking, biking, meditating, singing, dancing, doing arts and crafts, practicing Spanish, learning Armenian, and spending time with my amazing husband Garo. As Civic Engagement Program Manager for CEJA and CEJA Action, I work to build the political power, self-governance and self-determination of EJ communities and communities of color burdened by health, economic and environmental impacts. I build the bridges of accountability between California’s elected leaders and voters, manage ballot measure campaigns, and expand democratic participation for environmental, racial and social justice by centering and including members of our community who have been historically barred from voting. I’ve successfully led the campaign to beat down Proposition 70 which preserved critical public funds to fight climate change. I became an organizer because of my mom. I found myself in the social justice movement in hopes of making the world a better place for her and others like her. Despite health problems ranging from heart disease to asthma my mother worked as a waitress and a care-taker which brought me into organizing at United Food and Commercial Workers alongside Walmart workers with Organization United for Respect at Walmart, for retail workers’ rights, human dignity and respect in one of the largest commercial global polluters. This brought me to work for San Francisco Rising, an alliance of six Asian, Black, Latinx grassroots working-class immigrant, youth, and people of color base-building organizations across San Francisco, to build the political power to elect progressive candidates and pass bold ballot measures for necessary resources and changes in our community when elected officials would not or could not. I brought my experiences to Asian Pacific Environmental Network a member of CEJA to lead a campaign to contact 30,000 voters, the largest Asian Pacific American direct voter contact efforts in California. I carry these invaluable lessons forward into CEJA’s Civic Engagement and Electoral programs to build the infrastructure of political power and decision making for the future we are building today. 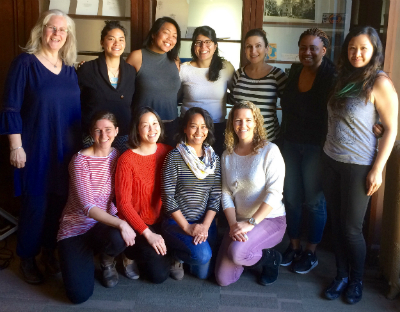 Outside of electoral politics and organizing, I am a current fellow in LeaderSpring’s LEADStrong women of color cohort. I can be found meditating and teaching yoga, taking trips to some of the most beautiful places, and writing books for children of color so they can see themselves in this world. I’m honored and humbled to be part of the CEJA team and the environmental justice movement. As the Climate Justice Program Associate, my work is at the intersection of my interests in economic justice, workforce development, and addressing the existential threat and impacts that climate change has on our most vulnerable communities. I’ve been inspired and drawn to this fight by the vision being put forward by frontline communities for a just transition to a more sustainable, equitable economic system. I’m continually amazed by the ways that community members have utilized this framework and included a deep intersectional analysis in sharing their stories and shifting the narrative around climate change towards a struggle for justice. My previous experience working with labor unions, public utilities, prison and jail abolitionists, environmentalists, and legislators has led me to this work. Most recently, I was part of the RePower LA team at the Los Angeles Alliance for a New Economy, where I worked with a broad coalition of labor, environmental, community, and small business groups to advocate for equitable public investments in clean energy, high quality green jobs, workforce training, and other benefits for low-income communities. 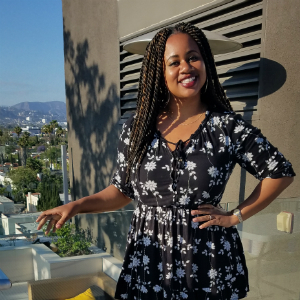 I earned my Master of Urban and Regional Planning, with a concentration in Community Economic Development and Housing, at UCLA, where I focused my time and energy on learning and organizing around labor and workforce development; incarceration, reentry, and policing; and curriculum and pedagogy. Before that, I worked at the San Francisco Public Utility Commission, the State Assembly, and with a few political campaigns and nonprofits. I should probably work on developing hobbies, but beyond struggles for justice and self-determination, I love food, travel, and music.